Unforunately, this door was secure, although in a future visit we managed to enter through a back door. 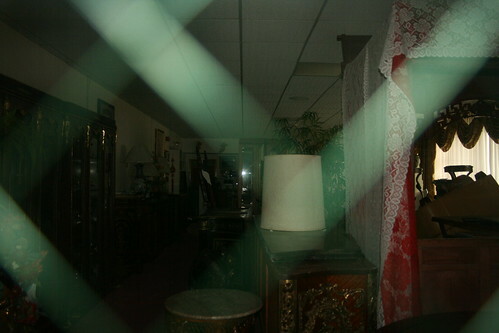 You can see that the room is filled with ornate furniture. Yet another excellent budgetary consideration. As long as you have nice chairs, they will come. Unfortunately, that proved not to be true.